Councilmember Dona Spring, who was first elected to her District 4 seat in 1992, died on Sunday. Spring was known for her support of local activists and progressive causes. The omnipresent voice that could often be heard advocating in the Berkeley City Council Chambers for the rights of the underdogs, the elderly and the disabled has sounded its final note. Berkeley City Councilmember Dona Spring died Sunday after a longtime battle with rheumatoid arthritis. She was 55. Known for her progressive and left-leaning political views, Spring was held by many local activists as a champion of social causes, who never let her physical ailments prevent her from advocating her beliefs. "I think she saw herself as sort of channeling the social movement," said Berkeley City Councilmember Kriss Worthington. Spring was diagnosed with rheumatoid arthritis as a 19-year-old junior at UC Berkeley, where she studied anthropology and psychology. She was wheelchair-bound for the past two decades and was one of the few politicians who was open about her disabilities. 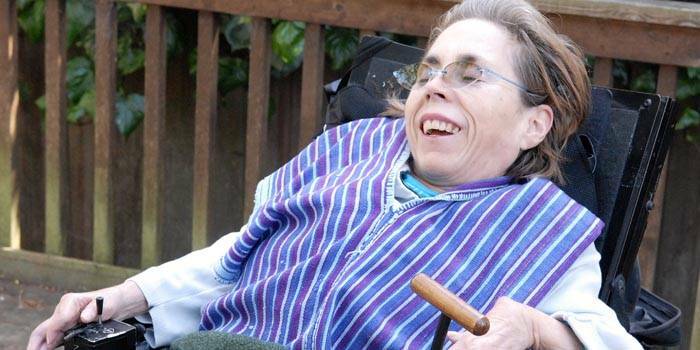 "She would simply not give up ... even though she was severely disabled," said former Berkeley mayor Shirley Dean. Most Tuesday evenings, Spring could be found in front of the television screen at her Berkeley home participating in council meetings via teleconference, as she has done almost exclusively since late 2005, when the obstacles to attend meetings became too onerous. Spring had been hospitalized for about two weeks at Alta Bates Summit Medical Center, where she was diagnosed with pneumonia and was found to have a pulmonary failure. Though not everyone always agreed with Spring's views, many said they always admired her for sticking to her convictions. "Lots of time we agreed and lots of time we disagree ... she was a terrific person," said Phil Kamlarz, the city manager. Spring first ran for the District 4 council seat in 1992 and held the seat until her death. "I'm really surprised that I've been able to do it with this level of disability," Spring said early last year. Spring will be missed by many members of the Berkeley community, but the impact of her passing will unquestionably be most felt by those whose causes she championed on the council. Dennis Walton, Spring's primary care-giver during the past 27 years, who calls himself Spring's soulmate, said Spring's recent trip to the grove near UC Berkeley's Memorial Stadium in support of the group of tree-sitters trying to save the oaks was an example of one of many causes Spring held close to her heart. "She really identified with that cause and really identified with what they are doing," he said. Spring's absence on the council leaves many residents concerned about whether their voices will still be heard. "She's the most visionary trail-blazer on the council," Worthington said. "So the rest of us are going to have to work a lot harder to keep in tune with what is going on in the community." PhoeBe sorgen, a friend and constituent appointed to the Peace and Justice Commission by Spring, recalled campaigning with Spring during her last re-election bid. "I would go up to the doors that had stairs and ring the doorbells and tell the residents that Dona was on the sidewalk and would be willing to talk to them," sorgen said. "It was really fun, because people were so obviously fond of her." JoAnn Cook, an active member of One Warm Pool, a group campaigning for a therapeutic pool for the elderly and disabled, called Spring, "our strongest, strongest advocate." She remained dedicated to the cause, even as her health declined, Cook said. "Even the day before she went into the hospital she was working � I think what touched me most was that she just didn't give it up," she said. Nancy Holland, Spring's assistant, recalls that until the end of her life, Spring continued to grow as a politician, bringing the sometimes-marginalized community members into the fold. "She went from being a warrior to a tremendous negotiator," Holland said. Though the Peace and Justice Commission and One Warm Pool both counted on Spring's support on the council, both Cook and sorgen worry that all progressive causes in Berkeley will suffer as a result of the loss. Many of Spring's constituents hope another strong progressive will run for the District 4 seat this November; until then, Spring's seat will remain vacant.